Custom designs that make you stand out. Our web designs work on a wide variety of screen sizes, including tablets, phones and desktop computers. 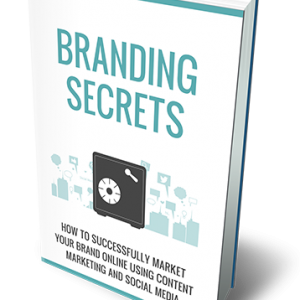 From Facebook to LinkedIn, we bring your branding across all your social media applications. Stay up-to-date with our monthly newsletters, marketing and branding tips and specials. 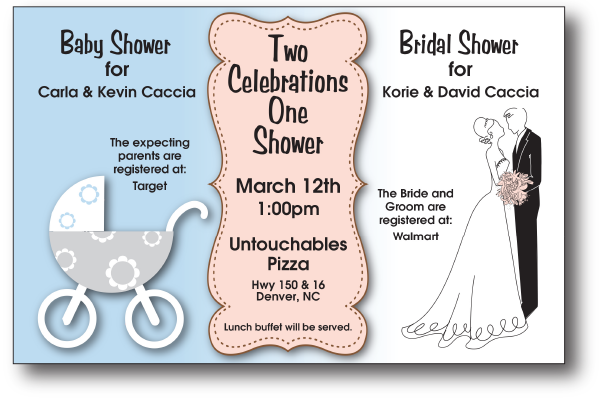 Shower invitation for two different couples. Both lived out of town, but had family in the same area. 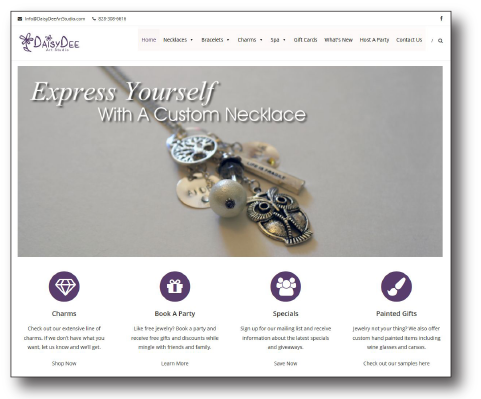 DaisyDee Art Studio wanted a fresh updated site to sell their jewelry and spa products. 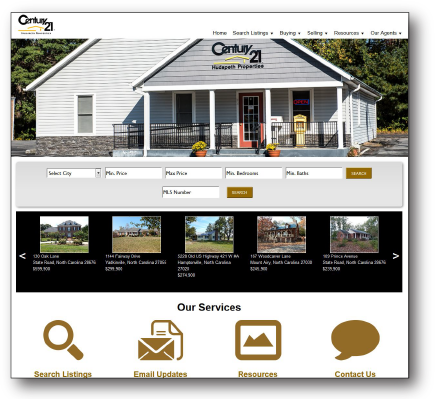 CENTURY 21 Hudspeth Properties received a total overhaul of their website from Pro Step Marketing. The overhaul included a new design, a slideshow on the homepage, updated IDX integration and the site is now mobile-friendly. 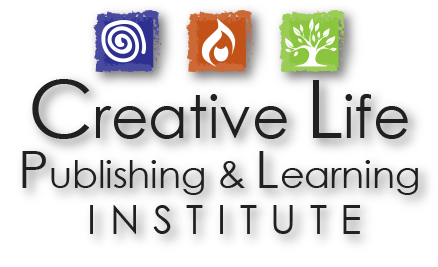 The Creative Life Publishing & Learning Institute wanted a logo the represents creativity. We used colored boxes with the elements of a swirl for creativity, a flame that ignites ideas and a tree for life. These elements can be pulled out and used as bullets or creative placement on their marketing items. Thank you for giving the website a new and fresh look. Dara was great to work with! 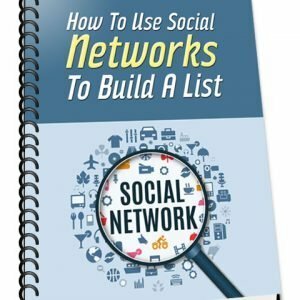 Dara designed my website last month and I am incredibly grateful! She’s got a huge heart and the patience of a saint. It took me awhile to get her everything she needed but when I did, the website was completed in no time. I am so impressed by her skill and knowledge. My website is beautiful and I highly recommend her. Thank you! Dara was great to work with. I like doing business locally and with someone that I can actually speak on the phone with when a question or issue arises. Website is well done and easy to navigate. I have used this service several times for invitations and have been pleased beyond measure with the outcome. Dara understood exactly the look I was going for and delivered great results. I have used her ever since for all my invitation needs. Great prices as well! I love Dara’s Design. From the time we first started working together I could tell they really cared about producing quality and that impressed me. They took an idea and ran with it and produced print materials and a website that are beyond creative and was way better than I expected. Thank you! You have saved our website twice now. While we will always miss our friends at Pro Step Marketing we are so thankful we found you! We look forward to working with you for many more years as things change so must our marketing. Thanks for always help us get to fresh ideas. Dara’s Design is Excellent! I highly recommend her services. Shes always very helpful and knowledgeable! Fast service and GREAT customer service! Thank you Dara for everything you do!! We Are Thrilled With The New Website Developed By Dara!! We are thrilled with the new website developed by Dara!! She created a professional, clean, and concise new look for our automotive repair shop while meeting, and at times exceeding, our expectations. Throughout the collaboration, Dara was patient, thorough, and an absolute delight. We highly recommend her skills, knowledge, and services. Dara does a great job and is very patient. Dara’s Design is a full service design and marketing company focusing on logo design, branding, social media marketing and website design. Designing is our true passion and we can handle any project. 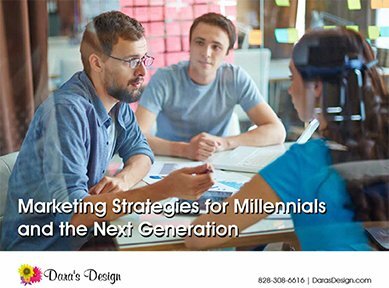 With an extensive history working with Real Estate agents, Dara’s Design has handled the marketing initiatives for REALTORS listed in the Real Trends Top 1000. Click here to schedule a strategy call.